Some of the perks of working in big tech are the benefits they offer to attract top talent. Generous pay, generous leave, and, you guessed it, ping pong tables, are the norm at most tech giants. However, the people who provide support services to these companies are often left behind when it comes to competitive benefits. Or really, any benefits at all. Microsoft is changing this disparity. The company has announced that it will only sign contracts with service providers who give their employees at least 12 weeks of paid family leave. 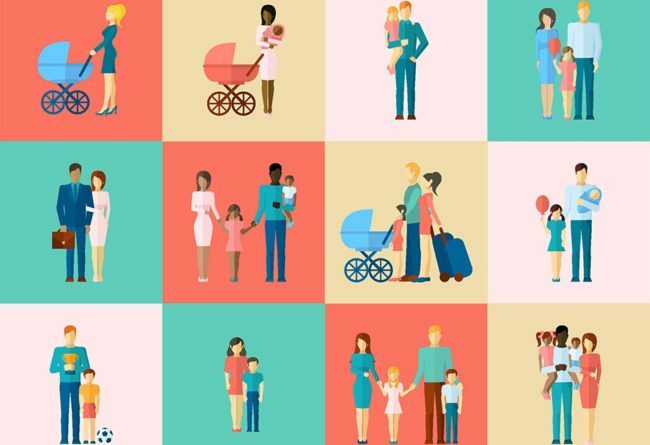 Analysts who spoke to the Wall Street Journal suggest this is the first time a large company has used its influence to assure paid family leave for the employees of its partners. The “PC” company currently partners with over 1,000 service firms across the country, many of whom will be forced to change their policies to continue business. Microsoft’s corporate vice president and general counsel said the requirement dictates both biological and adoptive parents must receive at least 12 weeks of leave at two-thirds of their wages. It does not exclude small companies. This requirement is much more generous than current federal leave policies. In the United States, federal law only guarantees 12 weeks of unpaid leave for employees at companies with more than 50 employees. Employees at small companies are not protected. 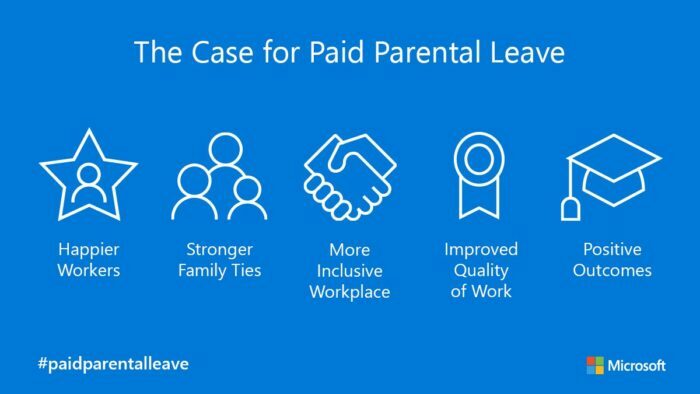 While this is a huge step for ensuring paid leave for all, it isn’t the first time Microsoft has used it’s influence to push for employee equality. Three years ago, Microsoft required its partners to provide employees at least 15 days of paid sick or vacation time. Talk about walking the walk.